On the 20th June 1837, upon her uncle, William IV's death, Victoria became Queen of the United Kingdom of Great Britain and Ireland. From the 1st of May 1876, she was also the first Empress of India of the British Raj. She ruled until her death on the 22nd of January 1901 when she was succeeded by her son Edward VII. Ascending to the throne just 4 weeks after her 18th Birthday, Victoria's inheritance was a monarchy discredited by the excess and incompetence of her predecessors, George IV and William IV. Indeed, it must have seemed to her contemporaries that the young Victoria had little hope of being anything more than a ceremonial Monarch, powerless to affect the political and social dynamics of the era. However, armed with the willful energy and stubbornness of an only child, Victoria not only raised herself to the task but went on to become the spirit incarnate of the nation and one of the most popular and loved of all British Monarchs. Although effectively removed from the political process by The Reform Act of 1832, Victoria still wanted to be kept informed of all political and social issues and was sensible enough to find good council, initially from Lord Melbourne, the Prime Minister and later from her Husband Prince Albert. This clear interest and concern for her nation's wellbeing coupled with her hardworking, high-minded but practical approach did much to repair the damaged reputation of the monarchy. In 1840, the Queen married her first cousin Prince Albert of Saxe-Coburg-Gotha who replaced Lord Melbourne as her principal source for advice. Albert was an astute and cultured liberal and his influence on the Queen and the politics of the era was important and forward looking. As the hard-working president of the 'Royal Commission for the Exhibition of 1851', Albert's greatest achievement was to organise against considerable opposition the 'Great Exhibition', the first in what became a series of World Fairs celebrating culture and industry. This important event was a huge success, educating its audience on and significantly increasing interest in, the design and art of Britain and its many colonies. The exhibition was so popular that it raised an astounding profit of £186,000. Money which Prince Albert invested in land in Kensington that was used for the building of a number of important cultural institutions including The Victoria & Albert Museum and the Natural History Museum. Victoria and Alberts' happy marriage was tragically cut short when Prince Albert unexpectedly died from typhoid fever in 1861. Victoria was devastated and entered a semi permanent state of mourning from which she never recovered. These were the darkest days of her reign and for the next 10 years she became a virtual recluse, shunning public appearances. Crushed by the loss, Victoria dressed in black for the rest of her life but slowly her interest in politics and society resurfaced and she gradually returned into the public eye. The Victorian period was an exciting time; Britain's overseas ventures were booming and the British Empire had become so large and powerful that it was now simply known as 'The Empire'. 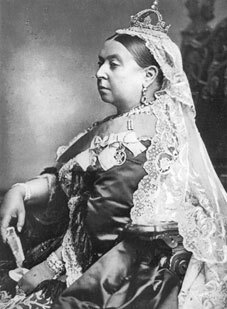 In 1876 parliament gave Victoria the additional title of "Empress of India" and Victoria became synonymous with The Empire itself. With her Golden Jubilee of 1887 and Diamond Jubilee of 1897 she reached new heights of popularity and became in the eyes of the public 'Victoria, Mother of The Empire'. By the time of her death in 1901, Victoria had reigned for 63 years making her the longest reigning monarch in all of British History. Victorian silver is a true product of its time. 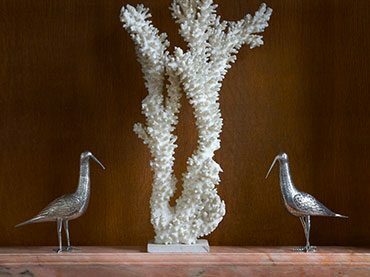 The success of Britain both at home and abroad and the seemingly unstoppable progress of the industrial revolution found physical form in silverware that was larger and more ornate than ever before. Silverware - always a fundamental measure of social status - was in high demand from the ballooning middle class eager to display their new found wealth. This huge disposable income gave rise to a plethora of new silverware items fulfilling every possible use imaginable from silver spoon warmers to silver egg coddlers.